Two Figs Winery is as well known for its award-winning wines and stunning location. A boutique winery and vineyard located 12km from Berry, NSW, Two Figs’ wine was recently judged best wine made on the South Coast. The winery’s prime position atop one of Mount Coolangatta’s foothills offers breathtaking views along the Shoalhaven River from the Heads to Nowra. Family, wine, food, history. Cupitt’s Winery was born of passion and the Cupitt family remains dedicated to providing one of the best wine and food experiences on the NSW South Coast. Rosie and Griff Cupitt bought 193-acre Washburton Farm in 2003, with an eye to running a small cattle farm. Rosie, with her background in horticulture, viticulture and wine making, the couple decided that they would both follow their passions at Washburton Farm, and Cupitt’s Winery was born. Today, the vineyard grows Semillon, Sauvignon and Verdelho grapes, while the farm specialises in Black Angus Cattle, and the herbs and vegetables used in Cupitt’s Kitchen. Rosie and Griff’s passion for food and wine was passed down to their sons, Wally and Tom Cupitt, who now make the wine. Libby Cupitt, formally a town planner, joined the team with Tom and is the restaurant manager and events coordinator. Visit to taste award-winning wines, learn about the wine making process, enjoy a special dining experience, sample local produce, and take in the extraordinary country views. With a cellar door, micro-brewery, fromagerie, provincial restaurant, boutique accommodation and delectable wines, you’ll soon see why Cupitt's is continuously winning awards. Silos Estate offers a truly unique experience, incorporating a working vineyard, boutique accommodation, an award winning restaurant and an alpaca farm. The estate is a working vineyard operating from buildings used in the original dairy farm established in 1870. The premises has now been fully restored and houses award winning accommodation, a cellar door, art gallery and a restaurant. Visitors can enjoy a walk around the vineyard followed by a tasting of their wine at the cellar door, enjoy a meal at the award-winning restaurant or stay the evening at their luxurious country cottages. Sophie and Rajarshi have been at the property since 2007. Since then Silos Estate has found a new lease of life with the accommodation having been further developed and upgraded, the winery and cellar door expanded and new labels for the winery released. A near picture perfect vista now greets all visitors whether they come to the tasting room; stay at the accommodation or enjoy a meal at Silos Restaurant. Mountain Ridge Wines is located 8km east of historical Berry perched up on a ridge of Coolangatta Mountain, with majestic views to Coolangatta, Berry, Saddleback and Cambewarra Mountains - set on a 75 acre working farm. The Mountain Ridge cellar door feature absolutely delicious whites, reds and liqueurs; including Chardonnay, Verdelho, Merlot, Cabernet Sauvignon, Semillion and Tawny Port to name a few! Boasting a mouth watering menu at their fantastic restaurant and gourmet treats at the café, theres always something to pair with the beautiful wines they produce. So grab a glass, relax on the grass and soak in the views! Tim and Tess are the people behind HopDog. They love all things beery and want to share their love with like-minded people. Tim and Tess bring together backgrounds in commercial kitchens, electronic arts & the beer industry. They love making a fun product that can, on occasion, extend into the realm of experimental. Pumpkins, peaches, seaweed, wasabi, coffee and even oysters have ended up in their specialty batch brews! HopDog is a working brewery where you can see, smell and taste the entire brewing process. They love beer and the opportunity to share their product with visitors. 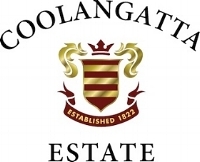 Coolangatta Estate offers you an experience like no other. Alive with history, the original convict-built village is now surrounded by sprawling vineyards and landscaped grounds. Situated on the foothills of Mt. Coolangatta. You are invited to taste their estate-grown wines from the cellar door, stay in their convict-built cottages, take a stroll through their historic grounds or enjoy the views and fresh local produce in their restaurant. Since the initial 1990 vintage Sauvignon Blanc, the range of entirely estate-grown wines has grown to include Semillon, Verdelho, Chardonnay, Savagnin, Chambourcin, Tannat and Cabernet Sauvignon. Owing to a 20 year partnership with winemakers’ Tyrrell’s Winery in the Hunter Valley NSW, the family-owned Coolangatta Estate has grown to become the largest wine producer in the Shoalhaven and the most awarded winery on the South Coast of NSW. Cambewarra Estate Winery lies at the foothills of the majestic Cambewarra Mountain in the Shoalhaven Coast wine region. They’re a 2nd generation family run winery and offer a diverse range of premium, award winning wines, with something to suit everyone. Brett and Amanda are the most amazing hosts and will make sure your experience is truly unforgettable. Each of their delicious wines are named after each member of their lovely family - Amanda is our favourite, as well as the Verdelho named after her! Cambewarra Estate features a stunning cellar door, beautiful restaurant, high tea, a boutique studio apartment bed & breakfast, a function centre and stunning outdoor surrounds ideal for weddings, private functions and events. The gorgeous Milton Cottages are located on a 27 acre property an easy 14 km drive from the South Coast town of Milton. Conveniently located 2.5 hours from Canberra and 3 hours from Sydney. Set in a beautiful green valley it looks across to magnificent views of Pigeon House Mountain, The Castle and boasts fantastic views of the Budawang Ranges. It's the most amazing place to stay whilst on the South Coast! Cassandra is the perfect host and will indulge your senses (and taste buds!) in her signature chocolate creation workshops. Or you can experience a chocolate champagne picnic experience in their field that borders two cattle grazing properties, surrounded by extensive bush and the resident kangaroos, echidnas, wallabies, king parrots, rosellas, galahs, grass parrots, lorikeets, a rare lyre-bird and a blue bower bird who has built a bower in the home garden. Pitch South Coast are the premium suppliers in glamping accommodation and luxury marquee structures on the South Coast. Specialising in bespoke packages for weddings, events, and luxury camping getaways. Rhi and her team work tirelessly to ensure they create a tailored service just for your special getaway. Pitch South Coasts' glamping tents and star shade marquees can be set up at any location across the South Coast, Illawarra, Southern Highlands, Sydney, and Canberra. The glamping tents can be used for bridal suites, luxury camping accommodation, a romantic escape for two, hens or bucks parties, children's parties, corporate events or just about any other event imaginable. Their absolutely amazing star shade marquees can be hired as is, or be styled to your theme using their exclusive event stylists. Pitch aim to make your stay as easy as possible. You simply choose your glampsite or marquee location, and they will take care of the rest. Pitch South Coast will assemble and style your bell tent or star shade marquee and pack it down when the day is done.